November 16 2014 will be the 25th anniversary of the killing of Father Ignacio Martín-Baró in El Salvador on the campus of Universidad Centroamericana José Simeón Cañas (UCA). Ten years ago in The Psychologist Mark Burton discussed the legacy of his ‘liberation psychology’ (tinyurl.com/mw8arsr). In this article I will discuss its emergence in Central America and some of the factors that fuelled its development. In addition, we will consider how liberation psychology developed in several countries before and after Martín-Baró’s assassination. I hope to contribute to the growing body of work that seeks a history of psychology that is ‘going global’ (Brock, 2011). On the need to consider the history of psychologies developed outside the mainstream, Kurt Danziger (2006) argued that by adopting a ‘polycentric history’ (p.219) contemporary scholars could transcend the oft repeated error of construing the institutionalised Euro-American history of psychology as the history. In accord with Danziger’s work, historians have expressed increasing interest in psychology’s development in third-world contexts (Brock, 2006; Kim & Berry, 1993; Moghaddam, 1987). Martín-Baró’s liberation psychology is an example of one such psychology. Ignacio Martín-Baró’s (1996) formulation of liberation psychology occurred amidst a context that was laden with possibility, yet subsumed under the weight of injustices he was determined psychology ought to address. At the time of his assassination by El Salvador’s United States–trained Atlacatl Battalion (Chomsky, 1990, 2011) El Salvador had suffered nine years of continued violence between the right-wing military regimes and the coalition of five left-wing guerrilla forces known as the Farabundo Martí National Liberation Front (FMLN). By the late 1980s, ‘the violence was so bad that more than one in six Salvadorans fled the country’ (Booth et al., 2006, p.108). The realities of El Salvador’s history throughout the 1980s are rooted in the larger legacy of political, economic and social unrest that has plagued Central and South America. This legacy reaches back centuries, to the days of imperialist colonial expansion that was the harbinger of what eventually amounted to ‘five hundred years of pillage’ (Galeano, 1971/2009). From within the unrest and state-sponsored terror in El Salvador during the 1980s Ignacio Martín-Baró envisioned a psychology capable of aligning itself with the needs of the victims of political and social upheaval throughout Central and South America. His commitments were rooted in his pastoral training within the Society of Jesus (Marín, 1991). As a Jesuit and University of Chicago–trained psychologist, he argued that psychology had not yet realised its potential to promote justice and peace within Salvadoran society. Drawing heavily from liberation theology (Gutiérrez, 1973/1988) and the critical pedagogy of Paulo Freire (1968/1972), among other traditions, Martín-Baró attempted to face down the legacies of inequality and oppression that are writ large on Latin America’s collective history. He was primarily interested locating psychological experiences within their context, and argued that mainstream psychology tended to do just the opposite. The impact of state-sponsored violence, experience of fatalism, the role of religion, and the mental health consequences of war were, among others, topics he considered worth critically examining. The connecting thread was his commitment to moving away from the individualistic tendencies in mainstream Western psychology that psychologised experience, and thereby covered over the socio-political and economic determinants of that experience. Martín-Baró argued that the psychologist ought to address, in acts of solidarity and compassion, the sources of oppression and injustice that suffocated the possibility of genuine flourishing for the majority of Latin Americans (Martín-Baró, 1996). Two sources of inspiration that echo throughout Martín-Baró’s liberation psychology are worth considering. Liberation theology’s paradigm of the ‘preferential option for the poor’ (Gutiérrez, 1973/1988, p.xxv), inspired Martín-Baró to shift theory and practice into alignment with the needs of the poor, in the hopes of achieving levels of justice and well-being that had hitherto been systematically erased. Use of the term ‘liberation’ was undoubtedly a clear statement of intent demonstrating liberation psychology’s alignment with the message resounding among radical theologians in the wake of the Vatican II initiatives opened up by Pope John XXIII in 1962 (Chomsky, 2011). Martín-Baró’s professional work in San Salvador was carried out at the Central American University José Simeón Cañas (UCA), a Jesuit University and home of other well-known liberation theologians, such as Father Jon Sobrino and Father Ignacio Ellacuría (Portillo, 2012). Jon Sobrino was, in fact, the only survivor of the massacre at UCA (Chomsky, 2011). Paulo Freire’s critical pedagogy (1968/1972) was also a powerful inspiration in Latin America. As a Brazilian citizen, he suffered the consequences of the coup in 1964. He was later ‘accused of being a communist and subversive; he was jailed for seventy days and then offered exile instead of continued imprisonment’ (Gadotti & Torres, 2009, p.1256). It has been argued that his critical pedagogy took shape during the four and a half years he spent in Chile as an exiled citizen of Brazil (Holst, 2006). Believing educational practices ought to change in order to promote critical consciousness and justice, Freire set transformative action as his aim. He used the notion of conscientisation – the active process of reflection and action upon oppressive structures – to illustrate the importance of critical pedagogy. As this concept denoted the dynamic process at the heart of liberation, Martín-Baró viewed it as ‘the horizon for psychology’s work’ (p.41). The term ‘oppression’ seems more than apt as a descriptor of Latin American history, particularly the destitution faced by millions from the age of imperialist colonisation (Galeano, 2009, Zinn, 2003) through the Cold War era and more recent decades of neoliberal globalisation (Klein, 2007). But can we consider liberation psychology’s development in contemporary scholarship in order to assess its relevance in contexts where such obvious injustices and socio-political turmoil are less prevalent? In the years prior to the murders at UCA, a number of psychologists in the United States had established contact with Martín-Baró and, as a result, brought insights from his work into their own. Important venues for this collaboration were symposiums and conferences, particularly the Interamerican Society of Psychology (known as the SIP) conferences in Caracas in 1985, Havana in July 1987, and finally Argentina in 1989 (Portillo, 2012). Prior to these conferences, psychologists in the United States organised through the work of the Committee for Health Rights in Central America (CHRICA), later re-named the Committee for Health Rights in the Americas (CHRIA) (Aron, personal communication, Dec 13, 2012). CHRIA’s mental health sub- committee forged strong relationships with Nicaraguan and Salvadoran psychologists addressing the impact of state sponsored violence. Through collaboration information, theories and practices could be shared between psychologists in the US and Latin America (Lykes & Liem, 1990). The CHRIA branches in the San Francisco Bay area of California and Boston-Cambridge area of Massachusetts were instrumental in supporting Martín-Baró’s work. Psychologists such as Adrianne Aron, Brinton Lykes and Ramsay Liem played important roles here. CHRIA members also felt that the US government’s role in Central America’s socio-political and economic affairs was disconcerting, a perspective shared by other scholars (Chomsky, 2011; Klein, 2007). One main goal of the organisation was to create awareness; events were held in order to spark dialogue about the role of the psychologist in such contexts. In Berkeley, CA, for example, on 17 January 1989 Father Ignacio Martín-Baró, Dr Elizabeth Lira (Chilean psychoanalyst) and Dr Laura Conte (Argentinean psychologist) spoke about the ‘Psychological Consequences of Political Terrorism’; sponsored by Psychologists for Social Responsibility and the Society for the Psychological Study of Social Issues, among others (pamphlet, CHRICA, 1989). At an SIP conference in Havana, Cuba, Martín-Baró and M. Brinton Lykes first met. This meeting, and another in Buenos Aires, Argentina in 1989, led to the establishment of the Network of Communication and Scientific Documentation in Mental Health and Human Rights (Lykes, 2012; Lykes & Liem, 1990). This was a joint effort to move knowledge generated in Latin America and the Global South via psychologists to the north. It was seen as a new direction to the circulation of psychological research and practice – work that usually travels from north to south – by abstracting Spanish-language articles from Latin America and the Caribbean and making them more widely available in the North’ (Lykes, 2012, p.89). Fuelled by the devastation and disbelief surrounding Martín-Baró’s assassination, Lykes, Liem and colleagues established the Ignacio Martín-Baró Fund for Mental Health and Human Rights, ‘in hopes of furthering some of the goals to which he had dedicated his life and to honour his memory’ (Lykes, 2012, p.90; www.martinbarofund.org). Today the organisation has supported 127 projects, undertaken by 67 different organisations; grants provided have totalled more than $750,000 (Lykes, 2012). 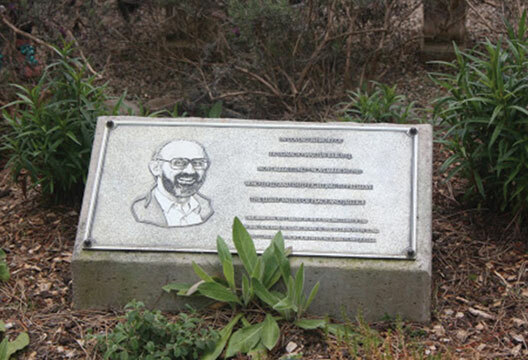 In the Bay Area, CHRICA members translated and published a number of Martín-Baró’s essays, appearing as Writings for a Liberation Psychology in 1994. Ramsay Liem reviewed the text in Peace and Conflict: Journal of Peace Psychology, under the title ‘Psychology under fire’ the following year (Liem, 1995). Liberation psychology’s move to the United States was catalysed by the needs of victims of state-sponsored violence. This has continued, but it has expanded to incorporate much more as well. Mary Watkins and Helene Shulman-Lorenz, clinicians working privately and through Pacifica Graduate Institute in Southern California, have used this framework in concert with the lenses of eco and depth psychology. Together, they authored Toward Psychologies of Liberation (2008), stressing the importance of community/dialogue-based practices that link the personal with the environmental and political. Watkins has also developed a PhD in liberation psychology through Pacifica Graduate Institute. In a similar vein, Tod Sloan (2002) – a friend and colleague of Martín-Baró’s who translated some of his work – works as the co-director of the Centre for Community Development through the counselling programme, where he developed a certificate programme in liberation and eco-psychology (www.lclark.edu). This is by no means an exhaustive list of liberation psychology scholarship in the United States. However, two additional examples may help reveal liberation psychology’s influence in the United States, particularly as a tool to raise consciousness about two legacies of oppression often overlooked by psychologists and citizens alike. Firstly, the work of Roderick J. Watts and colleagues (Watts & Flanagan, 2007; Watts et al., 2003) has addressed the concerns of the African-American community through a liberation psychology perspective. They have emphasised the importance of retrieving the African-American community’s historical narrative while encouraging civic participation and socio-political development as a tool for healing and change. Their work continues Martín-Baró’s interest in recovering historic memory in order to retrieve the potential for change among the oppressed (Martín-Baró, 1996). Secondly, Eduardo Duran and colleagues (Duran & Duran, 1995; Duran et al., 2008) have linked liberation psychology with postcolonial psychology, challenging psychologists to critically examine the legacy of colonisation and genocide suffered by the indigenous people of North America (Duran et al., 2008; Zinn, 2003). They encourage psychologists to acknowledge the needs arising out of such legacies, and to work with these communities in a bottom-up fashion, rather than solely from the perspective of the professional community (Duran et al., 2008). Ireland shares very few social and political features with El Salvador; however, the impact of colonisation is one. Dr Moane’s road to liberation psychology came about when she began to see links between feminist and postcolonial, and liberation psychology (Moane, 2011). As a result she brought power, class, gender and sexuality into her psychological analyses, through the lens of liberation psychology. Her work has emphasised the ‘psychological processes and practices’ involved in situations of oppression and liberation (Moane, 2011, p.14). All of this is rooted in historical analyses of colonisation and the resultant social hierarchies – tracing the origins of gendered roles and norms to social rather than natural history (Moane, 1994). Dr Moane’s work has brought individuals and communities face-to-face with Ireland’s legacy of colonisation, patriarchy, gender inequality and discrimination (Moane, 2011). She has promoted activism and advocacy for equality and justice in Irish society as a path toward self-identity, social cohesion, and political engagement. As a result, she has contributed a great deal to liberation psychology theory and practice. Within the United Kingdom, the work of three figures who have both contributed to contemporary liberation psychology theory and practice bears mentioning here. Mark Burton has been at the forefront of liberation psychology’s development beyond Latin America; along with Carolyn Kagan (Burton & Kagan, 2005, 2009) and Jorge Mario Flores Osorio (Burton & Osorio, 2011). Mark Burton pioneered the English-language liberation psychology network, which has functioned as an online forum and for cooperative work between psychologists throughout the world (www.libpsy.org). Finally, the relatively recent publication of Critical Community Psychology (Kagan et al., 2011), sponsored by the British Psychological Society, bears the imprint of liberation psychology and other critical psychology traditions. Through their work, Burton and Kagan have stressed that well-being is intimately linked with the health of our social, political and environmental surrounds. Finally, Taiwo Afuape’s (2011) work has also contributed to contemporary liberation psychology literature. Her monograph Power, Resistance and Liberation in Therapy with Survivors of Trauma demonstrates the same urgency witnessed in Martín-Baró’s work regarding the need to bring social context, power, and history into the psychologists purview. Afuape’s work is largely centred on clinical work, but expresses a deep interest in discussing issue of social action, justice and solidarity. In this article – part of a larger project to trace the historical development of liberation psychology – I aimed to give readers a sense for two things. Firstly, how liberation psychology’s development has continued since Martín-Baró’s death. And secondly, how attention to such narratives strengthens the argument that psychology can and ought to concern itself with the pressing social and political concerns of our time. It is these histories that set the stage upon which our personal and relational experience depends. Sensitivity to the political and social context may result in a psychology that challenges the status quo. The scholars above each unabashedly champion the cause of social justice – both human and ecological – and equality; doing so through a liberation psychology that bridges the gap between the personal and the political. I hope I have encouraged you to consider an area of psychology still in the making, and perhaps, simultaneously glimpse psychology’s future. Booth, J.A., Wade, C.J. & Walker, T.W. (2006). Understanding Central America (4th edn). Boulder, CO: Westview Press. Brock, A. (2011). Why history of psychology is going global. The Psychologist, 24(2), 150–151. Brock, A. (Ed.) (2006). Internationalizing the history of psychology. New York: New York University Press. Burton, M. & Osorio, J.M.F. (2011). Introducing Dussel: The philosophy of liberation and a really social psychology. PINS, 41, 20–39. Burton, M. & Kagan, C. (2009). Towards a really social psychology: Liberation psychology beyond Latin America. In M. Montero & C. Sonn (Eds.) Psychology of liberation: Theory and applications (pp.51–72). New York: Springer. Burton, M. & Kagan, C. (2005). Liberation social psychology: Learning from Latin America. Journal of Community & Applied Social Psychology, 15, 63–78. Chomsky, N. (1990, August). Sociopolitical context of assassination of Ignacio Martín-Baró. In A. Aron (Chair), Psychology and terror in El Salavador. Symposium conducted at the meeting of APA, Boston. Chomsky, N. (2011). Hopes and prospects. London: Penguin. Committee for Health Rights in Central America: Mental Health Committee. (1989, 17 January). Psychological consequences of political terrorism [Poster]. Copy in possession of A. Aron. Danziger, K. (2006). Universalism and indigenization in the history of modern psychology. In A. Brock (Ed.) Internationalizing the history of psychology (pp.208–225). New York: New York University Press. Duran, E. & Duran, B. (1995). Native American postcolonial psychology. New York: State University of New York Press. Duran, E., Firehammer, J. & Gonzalez, J. (2008). Liberation psychology as a path toward healing cultural soul wounds. Journal of Counselling & Development, 86, 288–295. Gadotti, M. & Torres, C.A. (2009). Paulo Freire: Education for development. Development and Change, 40(6), 1255–1267. Holst, J.D. (2006). Paulo Freire in Chile, 1964–1969. Harvard Educational Review, 76(2), 243–270. Kagan, C., Burton, M., Duckett, P. et al. (2011). Critical community psychology. Chichester: BPS Blackwell. Kim, U. & Berry, J. (Eds.) (1993). Indigenous psychologies. Newbury Park, CA: Sage. Klein, N. (2007). The shock doctrine. London: Penguin. Liem, R. (1995). Psychology under fire. Peace and Conflict: Journal of Peace Psychology, 1(4), 441–444. Lykes, M.B. (2012). One legacy among many: The Ignacio Martín-Baró Funfor mental health and human rights at 21. Peace and Conflict: Journal of Peace Psychology, 18(1), 88–95. Lykes, M.B. & Liem, R. (1990). Human rights and mental health in the United States: Lessons from Latin America. Journal of Social Issues, 46, 151–165. Marín, G. (1991). Ignacio Martín-Baró S.J. (1942–1989). American Psychologist, 46(5), 532. Martín-Baró, I. (1996). Writings for a liberation psychology (A. Aron & S. Corne, Eds.). Cambridge, MA: Harvard University Press. Moane, G. (1994). A psychological analysis of colonialism in an Irish context. The Irish Journal of Psychology, 15(2&3), 250-265. Moane, G. (2011). Gender and colonialism: A psychological analysis of oppression and liberation (2nd edn). Basingstoke: Palgrave Macmillan. Moghaddam, F.M. (1987). Psychology in the three worlds. American Psychologist, 42(10), 912–920. Portillo, N. (2012). The life of Ignacio Martín-Baró. Peace and Conflict: Journal of Peace Psychology, 18(1), 77–87. Sloan, T. (2002). Psicología de la liberació: Ignacio Martín-Baró. Interamerican Journal of Psychology, 36(1/2), 353–357. Watts, R.J. & Flanagan, C. (2007). Pushing the envelope on youth civic engagement. Journal of Community Psychology , 35(6), 779–792. R.J. (2003). Sociopolitical development. American Journal of Community Psychology, 31(1/2), 185–194. Zinn, H. (2003). A people’s history of the United States: 1452–present. London: Pearson Education.